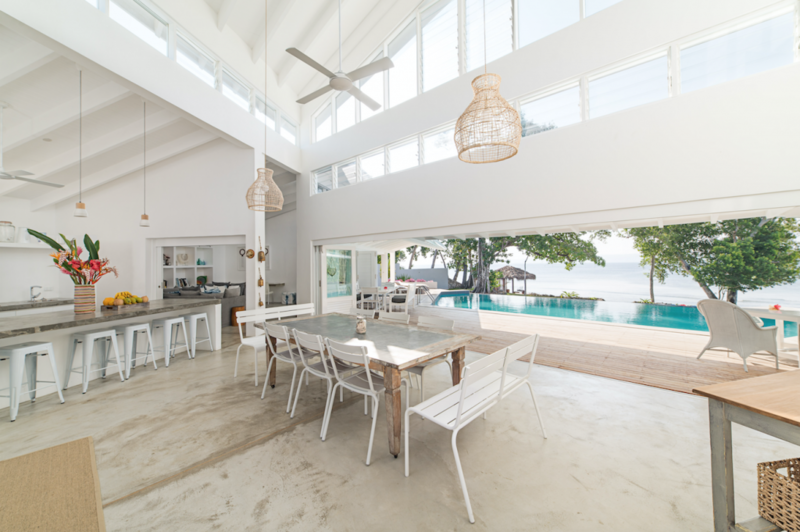 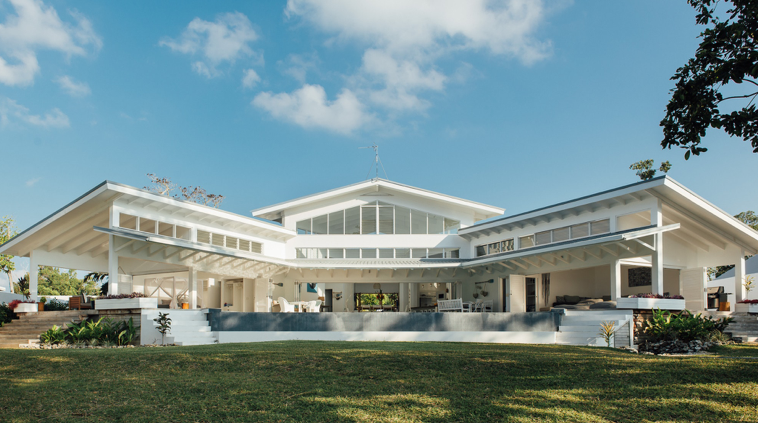 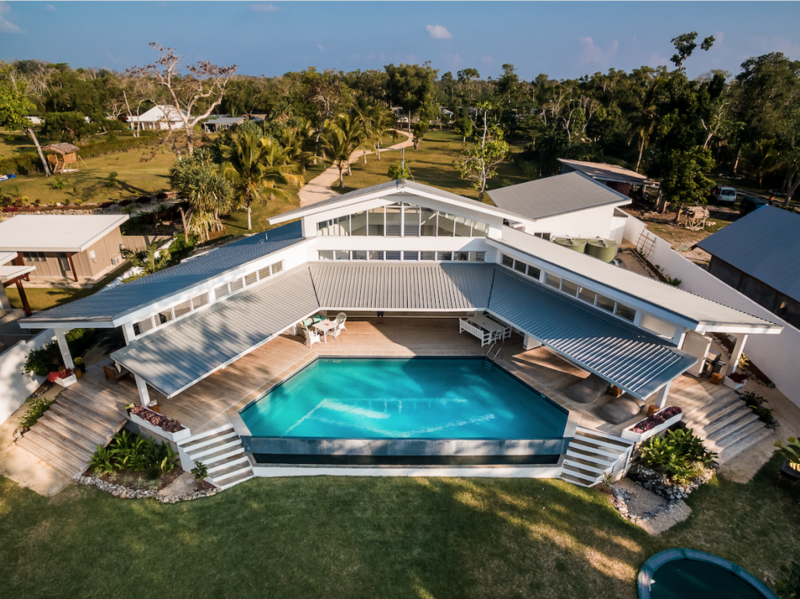 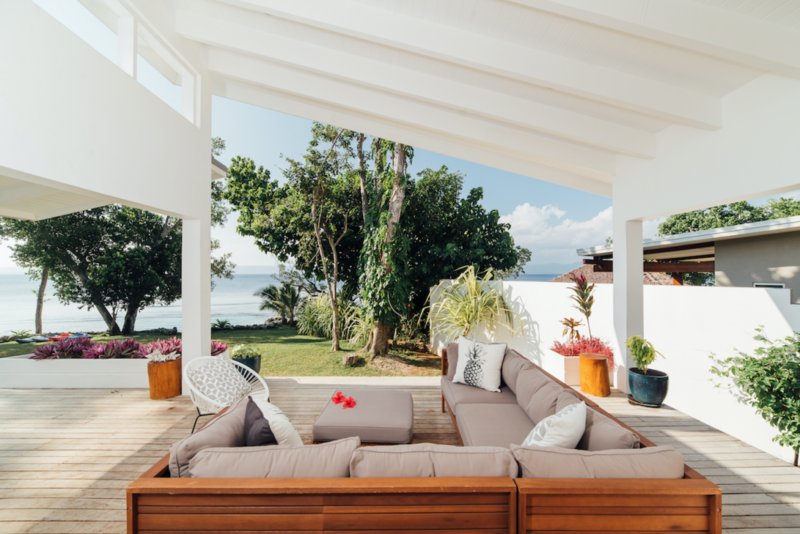 Located only 7km from Port Vila, this architecturally designed and magnificently decorated family home boasts a private beach, blue ocean swimming hole and expansive swimming pool. 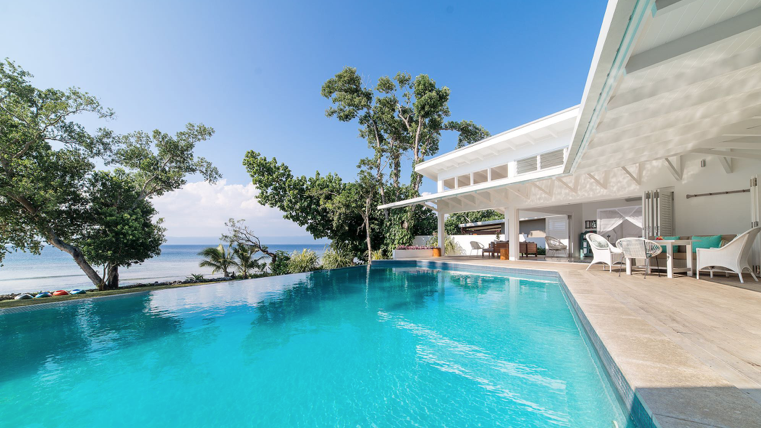 From the moment you arrive at this luxurious villa securely set on two lush acres of tropical land, you will be amazed by the stunning location. 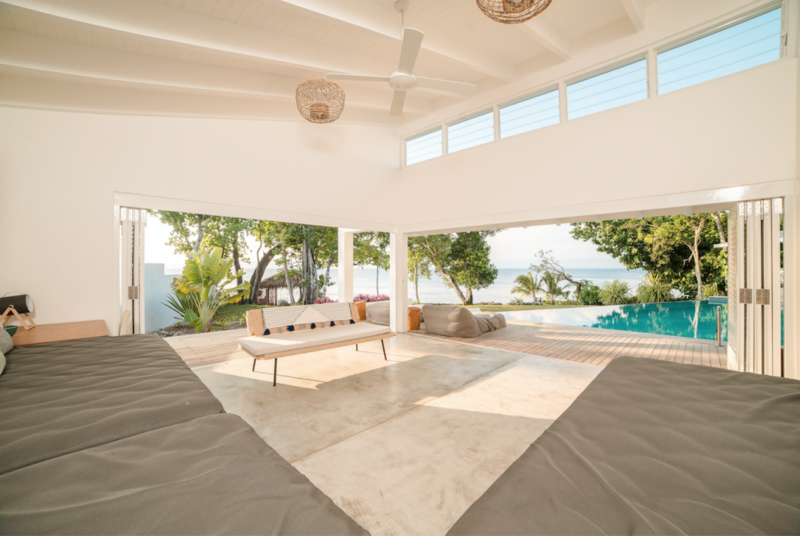 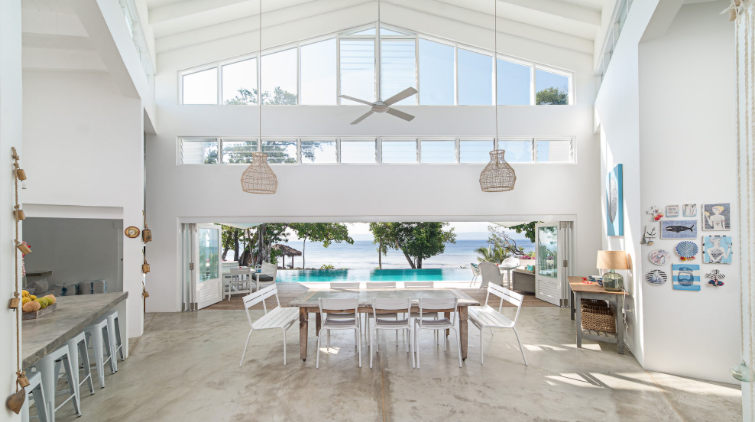 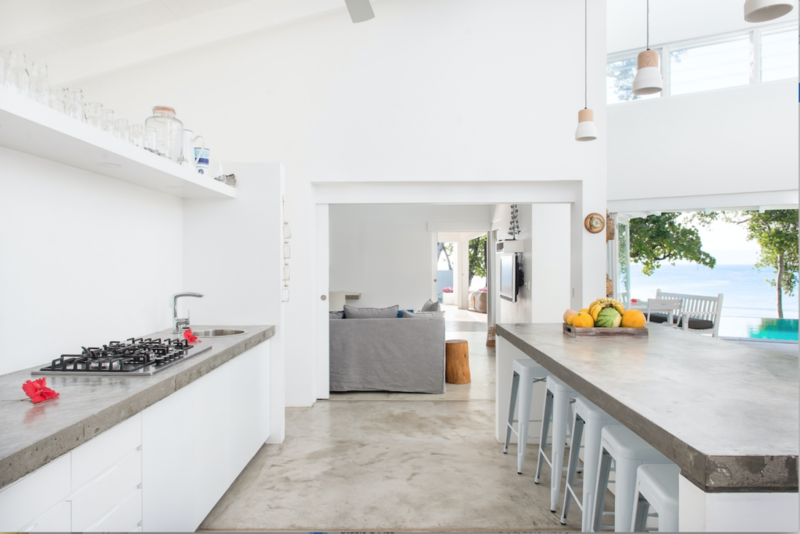 The house has double volume ceilings and bi-fold doors throughout, which open up to spectacular ocean views from every angle. 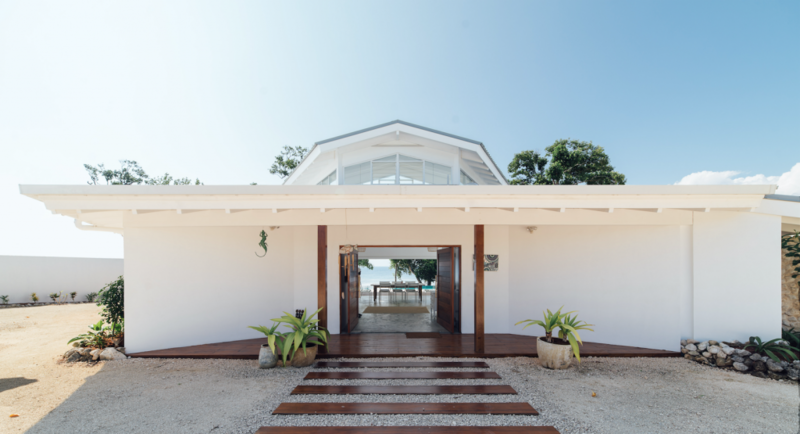 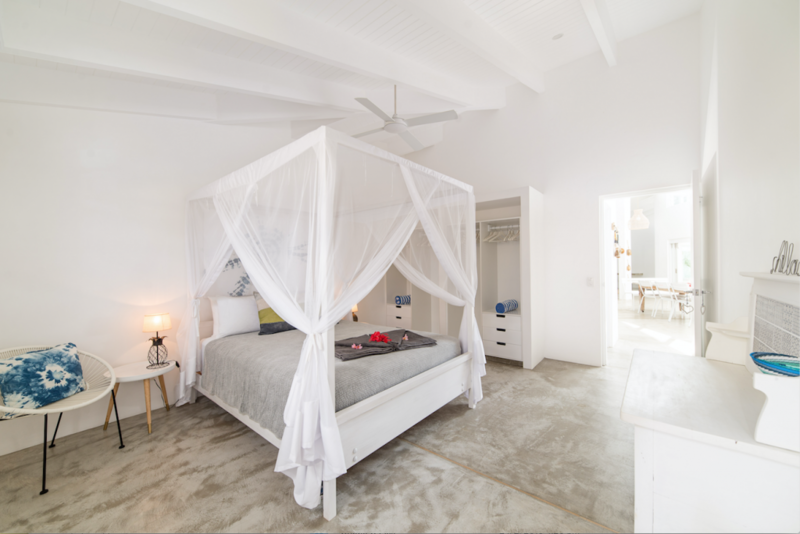 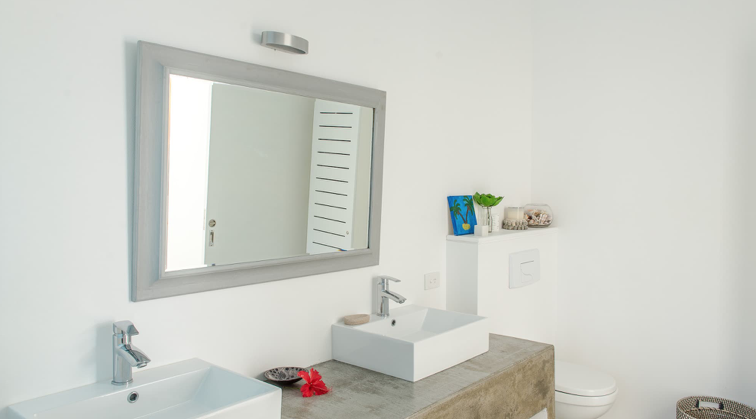 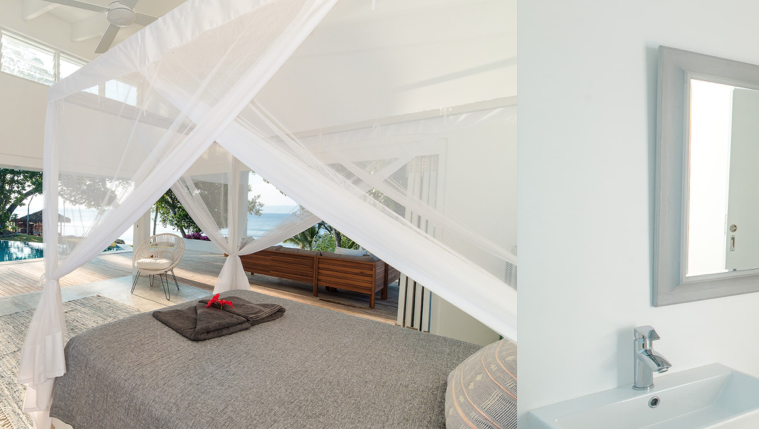 There are three bedrooms in the main house (one king and two queen), each with an ensuite outdoor coral-walled shower and an indoor bathroom. 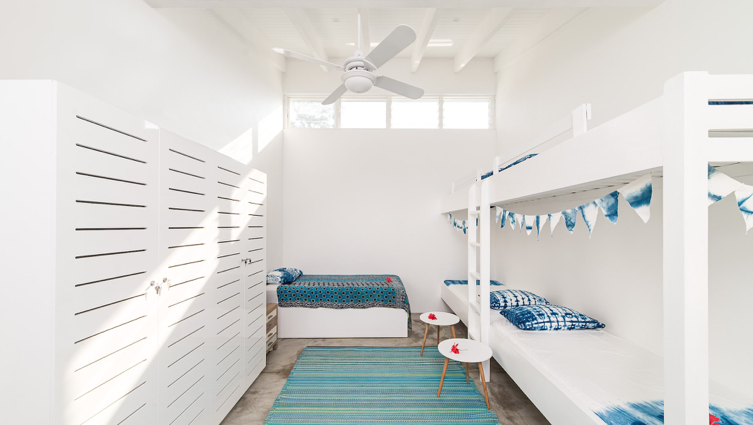 The bunk room is adjacent to the house with four beds and capacity for a few extras if needed.